Dear audiophile, We would like to introduce to you Sun Audio. 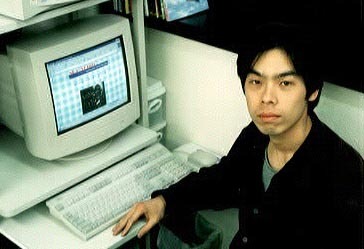 Since March 1980 Sun Audio has been TAMURA's agent for sales, design and development of pro-use audio systems. Our production has been exported to many countries in Asia, Europe and the Americas. Along the way we have received requests from many audiophiles. Almost all of them asked us to produce a NON-pro use audio system employing Tamura's high performance transformers. Therefore, Sun Audio decided to create our original amplifier. We designed and built some new transformers with the assistance of the Tamura technical staff. Tamura, one of the biggest companies in Japan, has made transformers and other related products since before WW2. 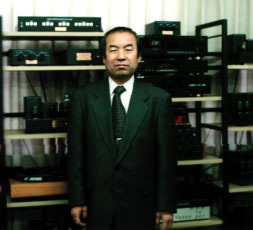 Tamura is found in many fields including broadcast, telephone, transport and audio. Three years of effort successfully blended low cost and high performance in the prototype Sun Audio amplifier. Many careful listening trials and design refinements brought additional good results with the release in 1989 of three Sun Audio amplifiers: SV-2A3, SV-KT88 and SV-300BE. This series was reported with high complements in several domestic and foreign audio magazines. Today we offer twenty one products in many countries, either in kit form or factory built. Only our products pass the European CE standard for Japanese vacuum tube amplifiers Sun Audio has a domestic inventory of about 2500 units, with nine Japanese distributors. Another supply of 500 units is maintained abroad by the nine foreign distributors who have joined us in the last eight years.